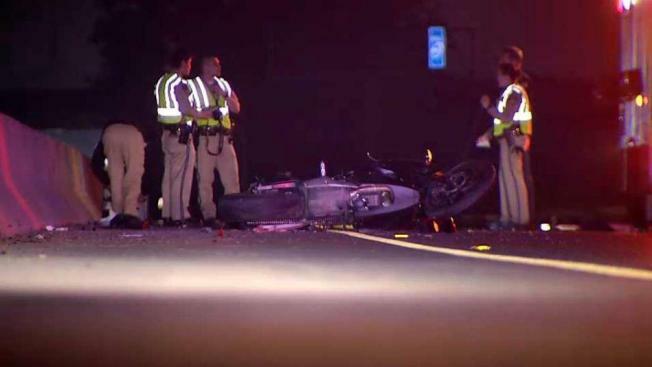 At least one person has died after a motorcycle crash early Thursday morning on northbound Interstate Highway 880 just north of Coleman Avenue in San Jose, according to the California Highway Patrol. Bob Redell reports. All lanes of northbound Interstate Highway 880 just north of Coleman Avenue in San Jose have been reopened after a fatal motorcycle crash closed all lanes of the freeway earlier Thursday morning, according to the California Highway Patrol. At least one person has died after the crash that was first reported around 1:05 a.m. and involved at least a motorcycle. All lanes were reopened at 3:18 a.m. The CHP couldn't confirm that another vehicle had been involved as of 5 a.m.